Denver, CO – I firmly believe that the day after Labor Day is the saddest day of the year. A palpable sense of melancholy washes over me as I trudge into the office every year on that Tuesday morning. Summer is over, and while it’s still nice enough to go outside and enjoy all of the same activities that I enjoyed the previous week, it just isn’t the same. It’s like arriving at a great party after everyone has left. If it weren’t for football, I’d be seriously depressed. By November, though, I’ve gotten over my end of summer blues and my attention is slowly drifting towards colder, snowier adventures. An e-mail from the Alps proclaims, “Snow!” Or A-Basin’s webcam shows a lucky few early season skiers. Either of these snap my brain back into ski mode. Invariably, though, my October optimism is tempered by the realization that ski season is still further away than I’d like to admit. Somberness returns. For most of us, skiing doesn’t really begin in earnest until Christmas time, and that’s a shame. While Mother Nature may reserve her best powder days for the New Year, or the deepest bases and warmest sun for spring time, she still has plenty to offer in the meantime. Last December, I set off on a quest to see if I could shake my late fall and early winter blues by making a concerted effort to get out and enjoy some real December skiing. A quick flight to Denver, and I was off to discover what early season looks like in Colorado. 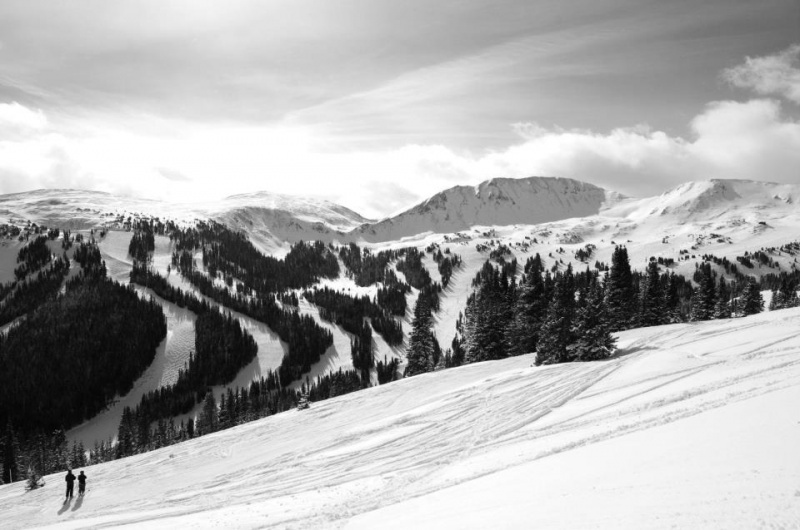 The Centennial State boasts two of the perennially first ski areas to open in the United States, Loveland Ski Area and Arapahoe Basin. Any discussion of early season skiing in Colorado, or frankly in North America, must begin with these two early season heavyweights. Aided by their impressive base elevations, “A-Basin” and Loveland annually battle it out for the honor of first to open. Both sit atop the Continental Divide, only an hour and a half’s drive from Denver where October skiing is the norm rather than the exception, thanks to substantial investments in snowmaking infrastructure. My first stop of the trip was at Loveland. Loveland Ski Area has the advantage of being located closer to Denver than A-Basin, and on the Denver side of the Eisenhower Tunnel. 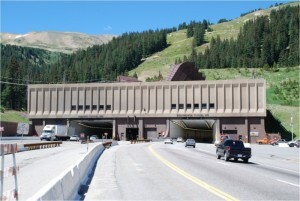 To be precise, the ski resort sits directly over the mouth of the tunnel. While skiers schuss downhill, cars scamper through the tunnel below. The first thing skiers should know about Loveland is that it is actually two ski resorts in one – Loveland Basin and Loveland Valley. Loveland Basin is home to the bulk of the resort’s terrain and this is where most of the early season skiing operates (although I should note that Loveland Valley was already open in mid-December even when I visited during a lean early winter). Even though Loveland is remarkably close to Denver, it feels a world away. Loveland has no cluttered base area or sprawling mega-homes. You won’t find any high speed chairs or fancy frills, either – just great skiing. Chairlifts ascending high above the treeline to reach a smattering of high alpine huts give the entire resort a decidedly European feel that’s hard to find in North America. I expected a day to be plenty of time to sample most of Loveland’s terrain. After all, I was led to believe that this one Colorado’s smaller resorts. I was wrong. Loveland has enough variety to keep even the most ambitious skier busy for at least a long weekend. 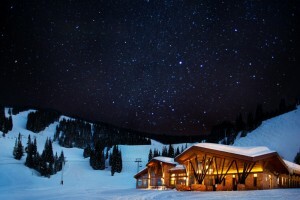 I simply could not believe a ski resort as good as Loveland manages to fly under the radar. Now I understand why I see such a disproportionately large number of “LUV” stickers on cars across the country. Loveland is no secret to locals. As the crow flies, A-Basin and Loveland are located no more than three miles apart, separated only by Loveland Pass. Of course the word “only” might be a bit misleading, considering that the pass crosses the Continental Divide at nearly 12,000 feet above sea level, and U.S. Route 6 crossing the pass has more twists and turns than a John Grisham novel. 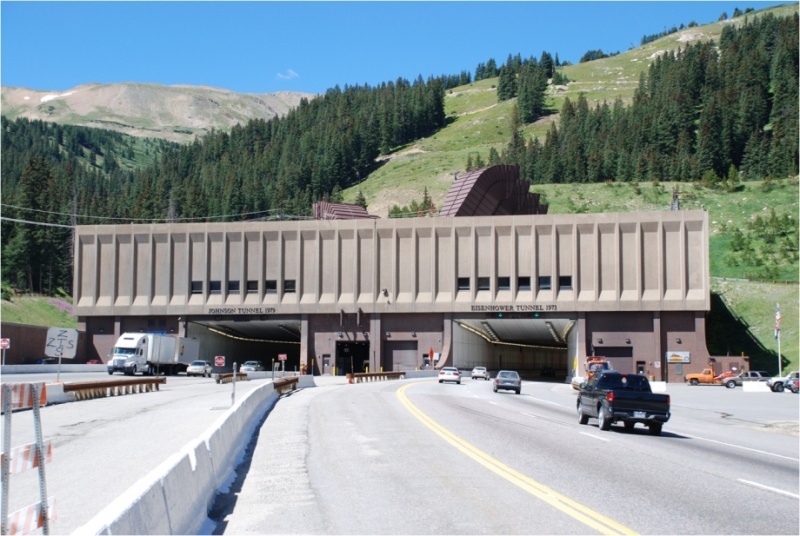 When the pass is closed, the drive between the two ski areas requires a trek through the Eisenhower tunnel and around through the town of Dillon that takes more than half an hour. Once you get to Arapahoe Basin, though, you’ll be happy that you made the drive. A-Basin has seen an infusion of capital investment in recent years that has almost doubled the resort’s skiable terrain. The addition of a lift that serves the mountain’s backside – Montezuma Bowl – has made A-Basin a realistic alternative to some of Summit County’s more well-known resorts. Like Loveland, however, there is no on-site lodging, with the nearest beds located a few miles down the road at Keystone. A-Basin skiers are reaping the benefits of those capital improvements, but none has proved a bigger boon to skiers than the installation of a new high speed quad that has dramatically improved the resort’s early season ski experience. Whereas a slow triple chair used to mean long lines and few runs, the liftline for the new Black Mountain Express hardly ever exceeds five minutes. The new Black Mountain Lodge located near the lift’s top station is a great place to grab lunch and enjoy the up-close view of the Continental Divide. Located up the road a piece from A-Basin is Copper Mountain. 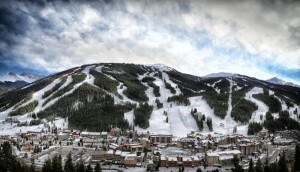 Copper is uniquely positioned for early season skiing because the U.S. national ski teams train on the mountain in October before it opens to the general public. This “Speed Center” assures Copper’s commitment to early season snowmaking, but once the U.S. men and women leave town for the World Cup circuit in early November, that snow belongs to Copper’s guests. 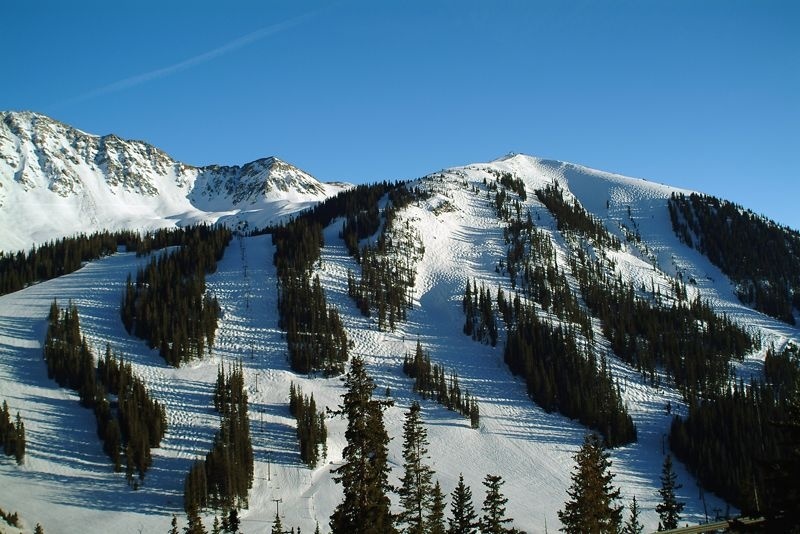 Copper also enjoys a higher base elevation (9,712 feet) than most other resorts in the area. For the sake of comparison, that’s nearly 1,600 feet higher than Vail’s. What’s more, Copper’s first rate base village is up and running by November and there are plenty of early season ski deals to be had. 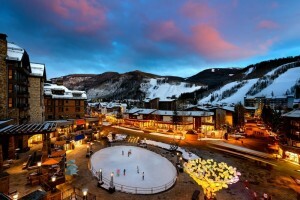 Luxury ski-in/ski-out condos rent for a fraction of their midseason or holiday rates. After carving some high speed early season turns (in an unsuccessful effort to work off the world-class fondue I enjoyed at Copper’s Alpinista Bistro ), I loaded my gear into the car one last time and left Summit County to cross 10,662-foot Vail Pass, for Vail Mountain and Beaver Creek would be the last two stops on my pre-Christmas pilgrimage. If you’re planning to visit Colorado in early December, consider timing your visit either for, or around, the time when the FIS World Cup annually stops in Beaver Creek. When the best of the best pull into town to tackle the famous “Birds of Prey” downhill course at Beaver Creek, the valley takes on a downright Olympic flair. Skiers and fans from all over the world show up in force to support their teams, both on the slopes and in the bars afterwards. If that’s your scene, be sure to visit during the first weekend in December. Even with limited early season terrain, the slopes are only lightly traveled because most people are either watching the race or nursing the previous night’s hangover. I headed to Beaver Creek to check out the racing. 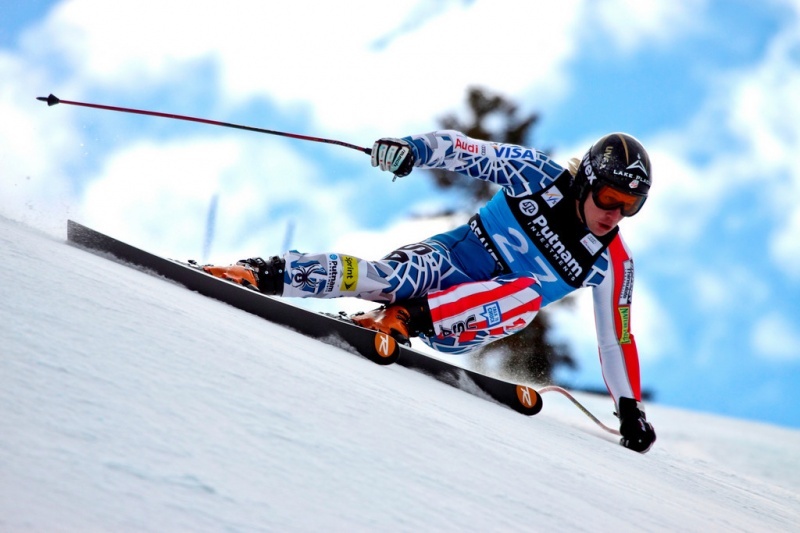 Having never attended an FIS World Cup race, it proved to be an eye-opening experience. You may think you know what fast looks like. You may even think you ski fast. Then you watch Bode Miller bomb a downhill run, and you quickly realize you’ll keep your day job. I ended up watching a few racers, but decided that I enjoyed skiing more than I enjoyed watching other people ski, so I set off to make a few laps on Beaver Creek’s first-rate groomers. Surprisingly, I found the snow to be just as good on the first weekend in December as it was during many of my visits that typically occur later in the winter – a testament to the quality of both the snow and the grooming. The last day of my December trip to Colorado was to be spent at Vail Mountain with some new friends from the swanky Game Creek Club. They had kindly arranged to show me around their clubhouse in Game Creek Bowl. Of course, even the best laid plans are always subject to Mother Nature’s whims, and Game Creek Bowl was closed due to a lack of snow. Making lemonade out of early season lemons, we instead tried Vail’s newest on-mountain eatery, “The 10th,” which was every bit as good as promised. Like most of us who have skied Vail more than a few times in the past, I tend to shoot out to Blue Sky Basin as fast as I can to avoid the crowds that often build there by midday. This time, though, both Blue Sky Basin and the Back Bowls were closed. Historically the Back Bowls are open by Christmas vacation week 75% of the time, so if you visit before then you’ll most likely be skiing the mountain’s front side. Being forced to ski the front side terrain that I have invariably skipped in the past gave me a new appreciation for just how big Vail Mountain really is. With my legs sore and my Christmas shopping not yet started, I hit I-70 to return to Denver, happy to have gotten in a great week of skiing before any of my friends had even brought their skis to the shop for a preseason tune. Of course, December skiing in Colorado has one other big perk: NFL football. Check the Broncos schedule in advance and you can take in a game on the way to the airport. I had time to reflect upon my trip as I returned home from Colorado. Apart from the fact the skiing was actually quite good, the single biggest reason to ski early season was clearly value. To start with, getting to Colorado in December is both easier and cheaper than I had imagined. Most visitors will wait until the holidays or beyond to plan a ski trip, so as supply outpaces demand prices drop. Prices for December flights are often less than half the cost of those in midwinter, and a small fraction of what they would be during the holidays. Denver is a cheap, convenient point of access for the Front Range resorts discussed above. Moreover, if you book a flight to Denver, you can make a last minute decision to stay at the resort with the best snow conditions. Flexibility is key because fickle early season snowfall can often leave some resorts in mid-winter shape while nearby neighbors are bone dry. Lodging deals also abound before the Christmas holidays. Hotels are half empty and most offer their lowest rates of the season during the pre-holiday period. For example, while touring a hotel in Vail I noted a room that went for $1,000 on December 24th, but was priced at only $240 on December 17th. I can assure you that the difference in snow conditions over those seven days is not worth $760 a night! Another major source of value are the lift ticket prices, which during early season are solidly below holiday rates. Window rates are lower at most resorts before Christmas week, but a little research can pay off. A quick glance at Liftopia for December showed lift tickets priced at up to 50% off peak rates. While Colorado boasts many other fantastic ski resorts beyond those I visited, I recommend staying close to Denver in the early season. Basing yourself only a short drive from so many world-class resorts means that you can pick the resort you’ll ski as close to the date of your visit as possible. Then you can base your visit on actual snow conditions and last minute lodging specials. I enjoyed my visit to Colorado so much last year that I’ve added a return trip to Colorado this early season. December is no longer a month where I’ll grumble about skiing being so close, yet so far away. Instead, I’m visiting Colorado.